Join us for an incredible all-lesbian journey to Machu Picchu. Join the women of Olivia as we discover the magical wonder of one of the seven wonders of the world. 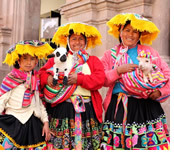 We know you will love our top-rated accommodations, the luxury train ride, and the many extras, including a tour of Awanacancha, a visit to Pisac market, a private tour of Ollantaytambo, and a Peruvian horse show. 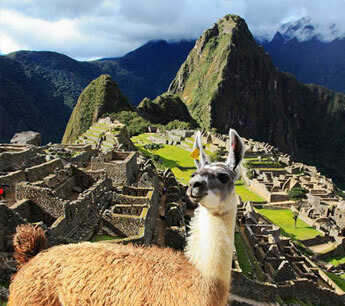 This is a Peruvian adventure like no other! 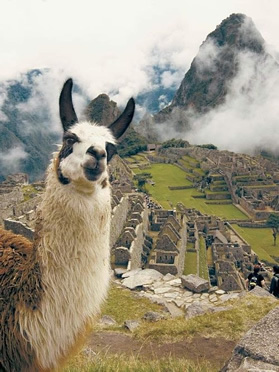 You’ll experience the “best of the best” of Machu Picchu and the Sacred Valley. Join the women of Olivia as we explore some of the world’s most beautiful and sacred spots together. Whether you spend the day learning about archeological treasures, taking photographs of the spectacular scenery, hiking with new friends, or relaxing and meditating, this is a trip you will remember forever. Tucked away in the Andes Mountain range, above the Sacred Valley and just northwest of Cusco, stands Machu Picchu, a UNESCO World Heritage Site, believed to have been a royal estate or sacred religious site for Inca leaders, whose civilization was virtually wiped out by the Spanish invaders in the 16th century. After enjoying Pisac and the market, you will go to the Hacienda Sarapapma, for a three-course lunch. Located in the Sacred Valley, Hacienda Sarapampa is a vivid example of the historic culture of corn farming from ancient Peru to present day. Your next stop will be Huaypo Lagoon. Considered one of the most beautiful lagoons of the Sacred Valley, its waters feed communities and nearby cultivation fields, and its surrounding areas offer a host of activities such as horseback riding, mountain biking, kayaking and picnicking. Huaypo is also at the beginning of a beautiful route that leads to the pampas (plateaus) of Anta, Izcuchaca and Cusco. Here, you will enjoy a luxurious family-style picnic on the shores of this stunning lake while taking in impressive views of mountain peaks and the natural flora and fauna of the Sacred Valley. 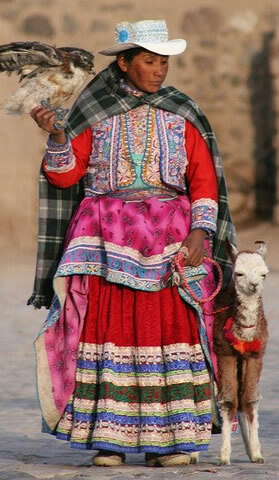 After lunch, you will drive to the town of Maras, where you will visit a local house and learn how to make and taste quinoa soup, a staple meal of the Quechua culture in Peru. In addition, we will visit the Salinas de Maras, the Salt Pans of Maras. Said to have been created by the Incas, these 3,000 pools provide the locals with salt and visitors with stunning views. These evaporation pools are fed by a small local stream and are still harvested by a community of local farmers who bag up the salt and sell it in the local markets. Travelers who are traveling next with us to Galapagos Islands, will be assisted in Lima from the domestic terminal to the Lima International Terminal for your flight to Guayaquil to continue on your adventure to the Galápagos Islands! Get the celebrity treatment with world-class service at Belmond Miraflores Park Hotel Lima. Belmond Miraflores Park features an outdoor pool, with panoramic ocean views, a spa and luxurious accommodation with marble bathrooms. It is situated in the Miraflores district of Lima, 100 metres from Beach Circuit Avenue. Rooms at Belmond Miraflores Park Hotel offer either panoramic ocean or city views. They have a seating area with cable TV, free WiFi and a minibar. Some rooms come with a private sauna and even a Roman bathtub. All guests are welcomed with fresh fruit. Wellness facilities include several massage treatments. Guests can enjoy the sun at the terrace by the heated pool, or work out in Belmond Miraflores Park's gym. City excursions can be arranged through the tour desk. On the 11th floor, a sumptuous breakfast buffet is served while gazing out over the ocean and Lima city, as well as candlelit dinners, prepared with Peruvian products. Pisco Sour cocktails can be ordered at Belo Bar. Experience world-class service at Tambo del Inka, a Luxury Collection Resort & Spa. With a privileged location in the Sacred Valley of the Incas, the luxurious Tambo del Inka is the only hotel in Urubamba with a private train station to Machu Picchu. Facilities include a pool and spa. The elegant rooms feature native fabrics and local design, and have private balconies with views of the natural surroundings. All feature an LCD TV, iPod docking station, and exclusive marble bathrooms. Guests can use the modern gym, and unwind afterwards with natural massage. They can then relax in the cosy lounge, featuring a classic billiards table and variety of board games. 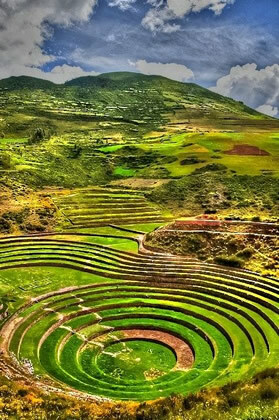 Tambo del Inka also has a partnership with Tikariy travel agency to help organize tours around the city. Get the celebrity treatment with world-class service at Sumaq Machu Picchu Hotel. Privileged located at the Urubamba River and only 20 minutes from the famous Machu Picchu Archaeological Site, this 5-star hotel offers comfort, elegance and relaxation, in Andean Design. Free WiFi access is available. Sumaq Machu Picchu Hotel offers spacious, luxurious rooms with a seating area. All include a cable TV and are equipped with heating. Some rooms feature a private balcony with views over the mountains and the Urubamba River. Peruvian Gastronomy is served at the à la carte Qunuq Restaurant. In addition, guests can have their drinks at the Suquy Cafe & Bar. For total relaxation, guests can treat themselves with a visit to Aqlla Spa. Sumaq Machu Picchu also offers massage services. 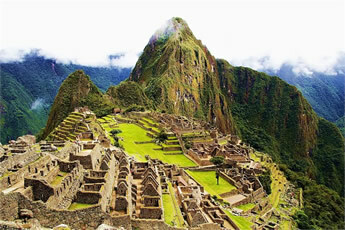 This property also has one of the best-rated locations in Machu Picchu! Stay in the heart of Cusco. The hotel boasts impressive interiors with antique exposed bricks, vaulted ceilings and sleek designer style furniture. Cusco's cathedral and main square are only 3 blocks away. Rooms at JW Marriott El Convento Cusco are elegantly styled with parquet floors, upholstered chairs and dark wood fittings. They have cable TV, minibars and private bathrooms with showers. Guests can taste Peruvian specialties or international cuisine at the 2 on-site restaurants, in a stylish setting. This 4-star hotel is conveniently located within Lima's Jorge Chavez International Airport, only 20 meters away. It includes an on-site Spa Express. The Costa del Sol chain features hotels in the 7 most important cities in Perú. Costa del Sol Wyndham Lima Airport provides comfortably furnished rooms and suites that include 40" LCD TV with cable, free Wi-Fi, and marble bathrooms. Suites feature a separate living room and hot tub. Guests can keep fit at the gym or relax at the spa. Costa del Sol Wyndham Lima Airport also offers a business centre. There is a restaurant and bar where breakfast, lunch, and dinner as well as a variety of drinks are served. Rates: Prices are per person based on double occupancy. Pricing does not include international airfare, insurance, or fuel surcharge.